Loaded with Bacon on Texas Toast. Onion Rings, Tomatoes, Lettuce, Pickles, Mayo and Mustard on an Always Fresh, Never Frozen Hamburger Patty. Chocolate, Vanilla and Strawberry Milkshakes made with Blue Bell Ice Cream. Southwell’s Hamburger Grill has been feeding Houstonians for nearly three decades with a single mantra in mind: treat customers like family. 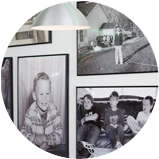 Learn more about the Southwell’s tradition of ‘Burger-ing Better’ and the history behind the family photos that line the walls of all four Southwell’s locations. 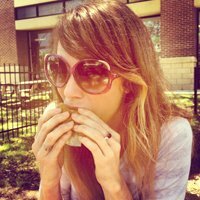 Tweet or Instagram a picture of your favorite Southwell’s treat (using hashtag #Southwells), or post a picture on our Facebook wall for your chance to win a free burger, side and a drink! One winner will be chosen every Friday, and your picture will be featured on our Facebook page.